We have an African-American president, so why not an African-American Spider-Man, too? 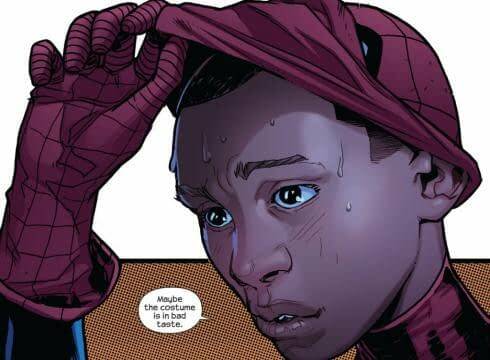 Revealed in Marvel Comics’ Ultimate Fallout Issue 4, out Wednesday, the new Spider-Man in the Ultimate universe is a half-black, half-Hispanic teen named Miles Morales. 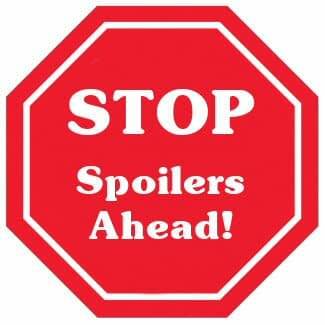 He takes over the gig held by Peter Parker, who was killed in Ultimate Spider-Man Issue 160 in June. In his first appearance, he simply breaks up a fight. But readers will learn the true origin of Morales and how he became the new Spider-Man when Ultimate Spider-Man relaunches in September with a new No. 1 issue. (Rich adds) This is important an attempt to break the white hegemony at the top of the superhero charts, where black leads just don’t sell as well as their white counterparts, based as they are on work from the sixties which just weren’t as ethnically diverse as we’ve come to expect from other forms of entertainment. The creation of Miles Morales, a teenager with an African-American father and Hispanic mother, has been personal for his creators. Axel Alonso, Marvel’s editor in chief, is of mixed cultures (his father is Mexican, his mother is British), and Bendis has two adopted daughters, a 3½-year-old from Ethiopia and a 4½-month-old African American.